Put simply, it’s about worshiping God according to Scripture. The Reverend Derek Thomas, Minister of Teaching at First Presbyterian Church, Jackson, Mississippi, first explains the threefold aspects of worship– form, element, and circumstance–then demonstrates that the Reformed emphasis on the Regulative Principle of Worship (RPW) is not merely an invention of the Puritans, as J.I. Packer and others maintain, but is the application of the Reformation ideal of Sola Scriptura. In other words, the final authority of Scripture in the faith and practice of the church is the foundation on which the RPW is built. Rev. Thomas is also very helpful on many debatable issues like the frequency and symbolisms of the Lord’s Supper and the appropriateness of the inclusion of original hymnody and musical instruments in New Covenant worship. Finally, he makes a compelling and edifying case for Sunday evening worship. Would that more churches returned to such a practice in the interests of keeping holy the Lord’s Day. Listen and learn a little more about what it means to worship God according to Scripture by Reading the Word, Praying the Word, Singing the Word and Hearing the Word Preached. Now, this is what I call music…! In case you can’t keep up, here’s the lyrics. Read along, then consult your Bible and read and pray and think! Was He trying to save everybody worldwide? Was He trying to make the entire world His Bride? Does man’s unbelief keep the Savior’s hands tied? But how the cross relates to those in hell? But when it comes to Christ and those in hell? What about those who were already in the grave? Thank you, Shai Linne, whoever you are. Today’s headlines from the Daily Evangel, in the Evangelical News & Views section, includes Christianity Today’s interview with Rick Warren in which he clarifies some of the comments he made during his interview with Larry King on CNN Monday night (click on “Q & A: Rick Warren” in the sidebar). In my last post, I introduced the topic with the statement that “a couple of pastor Warren’s comments troubled me,” then I only blogged on one of them. The second thing was his announcement, as an example of what he calls “interfaith projects” (which he finds far superior to “interfaith dialogue”), that he would attend a Jewish Passover seder hosted by a rabbi friend of his, Elie Spitz. Spitz’s congregation is hosting a “community seder” (see this advertisement). KING: Obama has traveled to Turkey, first president to visit a Muslim country. He had this to say about the United States and Islam in a speech to Turkish parliament. Watch. I’d like you to comment. OBAMA: The United States is not and will never be at war with Islam. In fact, our partnership with the Muslim world is critical, not just in rolling back the violent ideologies that people of all faiths reject, but also to strengthen opportunity for all people. KING: What do you think of that? WARREN: You know, I think that’s the exact right tone, Larry. There are 600,000 Buddhists in the world. There are 800,000 Hindus in the world. There are a billion Muslims in the world. There are 2.3 billion Christians in the world. You have to get along together. That’s why I speak with Jewish groups. I speak to Muslim groups. We’re all human beings. We have to work on issues we don’t always agree on. I’m not really into what I call inter-faith dialogue. I think that’s a lot of wasted time. I’m interested in what I call inter-faith projects. In other words, I’m not going to convince a lot of people who have other beliefs to change their beliefs and vice versa. But we can work together on issues like poverty, disease, illiteracy and things that — problems common to all humanity. This week, for instance, tomorrow night, I’m going to a Seder dinner with my dear friend Elie Spitz (ph), who is a local rabbi. We’ll celebrate Passover together. And then later in the work [week? jdc], I’ll do Easter, which is — they’re both all about redemption. My next door neighbor is Muslim. I traveled with him to the Middle East. We’re dear, dear friends. And there’s no reason — what people don’t seem to understand is that you don’t have to agree with everybody in order to love them. People see me out there — I speak to Muslim groups and Jewish groups, I’m actually having a Passover Seder tomorrow night. People never need to doubt why I do what I do, even when associating with people gets me in all kinds of hot water. Jesus got into hot water for the people he associated with. Fundamentalist groups say Warren hangs out with Jews and Muslims and gays and on and on. The point is, I’m not allowed to not love anybody. With these words, Warren blurs the lines between loving people regardless of religion or lack thereof, which is of course appropriate, and worshiping with them. It’s not hard to distinguish between the two, yet Warren seems to see no distinction. The apostle Paul wrote in Romans 13:10, “Love does no wrong to a neighbor; therefore love is the fulfilling of the law.” However, in the book of Hebrews, the author of that letter warns Christians against engaging in the worship of unbelieving Jews (Hebrews 5:11-6:8). To do so, according to the author of Hebrews, is tantamount to apostasy. The elements of the Passover seder, like the Old Testament temple worship, are a “copy” and “shadow of the heavenly things” (Hebrews 8:5). I submit that it is not unloving to refrain from worshiping with those who reject the gospel, while still living a life that does no harm to them. At the same time, I find that this announcement of participating in the copies and shadows of things fulfilled by the Lord Jesus Christ, in the context and company of those who deny his fulfillment of them, is just the logical conclusion of the kind of fuzzy thinking Warren engages in when he calls Roman Catholics and others who distort the gospel, “brothers and sisters in God’s family” (see my previous post). Dearly beloved, this type of activity on the part of Protestant (yes, I said “Protestant”) leaders is indicative of the spiritual decline in Christianity that I believe is linked to the kind of sociological decline reported on by Newsweek magazine. What American Christianity needs is a revival and a Reformation. It needs to regain the courage to be Protestant. I would ask you to consider the words of the Cambridge Declaration, a recent statement and call to reformation and revival prepared by the Alliance of Confessing Evangelicals. This statement is found on my “Creeds, Confessions, Catechisms and Statements” page, but here’s the link for your convenience. In the course of history words change. In our day this has happened to the word “evangelical.” In the past it served as a bond of unity between Christians from a wide diversity of church traditions. Historic evangelicalism was confessional. 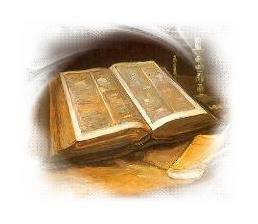 It embraced the essential truths of Christianity as those were defined by the great ecumenical councils of the church. 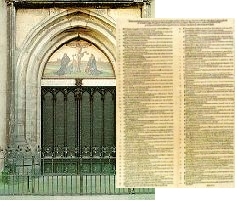 In addition, evangelicals also shared a common heritage in the “solas” of the sixteenth century Protestant Reformation. Today the light of the Reformation has been significantly dimmed. The consequence is that the word “evangelical” has become so inclusive as to have lost its meaning. We face the peril of losing the unity it has taken centuries to achieve. Because of this crisis and because of our love of Christ, his gospel and his church, we endeavor to assert anew our commitment to the central truths of the Reformation and of historic evangelicalism. These truths we affirm not because of their role in our traditions, but because we believe that they are central to the Bible. Founders Ministries posted a video of a sermon by the late, great Southern Baptist pastor, Dr. W. A. Criswell entitled, “The Bible Kind of Salvation.” In his opening remarks, Dr. Criswell explains clearly that this is a sermon on the election and choosing of God. The fact that Founders Ministries is promoting this sermon says something about on which side of this great debate Dr. Criswell comes down (Who was Dr. Criswell?). Southern Baptists who are reading this blog are urged to consider the remarks that one of your great leaders of the recent past proclaimed as the truth of the matter on what the Bible teaches about the doctrine of election and the so-called “sovereign grace” of God. Founders Ministries is a ministry of teaching and encouragement promoting both doctrine and devotion expressed in the Doctrines of Grace (what are the doctrines of grace? click here) and their experiential application to the local church, particularly in the areas of worship and witness. Founders Ministries takes as its theological framework the first recognized confession of faith that Southern Baptists produced, The Abstract of Principles. We desire to encourage the return to and promulgation of the biblical gospel that our Southern Baptist forefathers held dear. Reformed theology, and everything that’s wrong with it was adapted either intentionally or unintentionally from Anabaptism. I further believe that a return to a more consistent application of Reformed theology (aka, the doctrines of grace or Calvinism) is the key that will solve many of the issues that trouble Southern Baptists churches today. The following is part one of a four part series. If you need help finding parts 2-4, click here. The news has just reached me that the search for a new pastor has come to an end at Coral Ridge Presbyterian Church, in Fort Lauderdale, Florida. Last year’s loss of Dr. D. James Kennedy has certainly brought much change and transition to the local congregation. It certainly came immediately to the Coral Ridge Hour television show. The formerly hour-long program was immediately reduced to a half hour, cutting out my favorite part of the program, the music. From the exhilerating one verse processional, during which the choir and pastor enter the sanctuary and take their places to open the service, to the choir specials and classical solo features, it was part of my weekly preparation for worship at my own church. As a concession, I noticed that they began to squeeze in the song that is sung after the sermon, for which I was grateful, but it certainly was not the same. But I digress. The Session (or, board of Ruling Elders) of Coral Ridge Presbyterian Church, whose concern is to shepherd a large, influential church without a Teaching Elder (Pastor), has recently called a young minister of some noteriety who is building a church which has yet to obtain its own building. In this way, its quite an interesting match–a church without a pastor offers its building to a church with a pastor but not a building. That’s right, they’re not just calling the pastor, they’re negotiating a merger. The name of said minister of note, who has received a call to pastor Coral Ridge, is Tullian Tchividjian (the last name rhymes with “religion”). Rev. Tchividjian is an up-and-coming pastor in the Evangelical Presbyterian Church, (Coral Ridge is in the Presbyterian Church in America) who happens to be the grandson of “America’s Pastor,” Evangelist Billy Graham. But many Reformed believers may know him better as the guy featured in the promotional videos that recently introduced the Bible reading public to the new ESV Study Bible (which study Bible I highly recommend). You can read the SunSentinel.com report on Rev. Tchividjian’s call and the subsequent merger negotiations here, and you can also keep up with the ongoing process at his New City Presbyterian Church blog (here, here, here, for starters). While this is an interesting event, I must say that in the inevitable changes that will come to the church, especially grievous to me personally will be any metamorphosis of Coral Ridge’s amazing music ministry, which, while it was technically “blended” (combining the singing of traditional hymns with contemporary music), it was effectively presented in a manner that majored on the classical, “traditional,” even the liturgical. One Reformed blog, Green Baggins, expresses concerns (read it here) similar to mine. I share some of this blogger’s concerns, especially about the implications of contemporary worship music, and the possibility of a “seeker sensitive” approach to the church’s ministry, although some of the comments on his post help alleviate my concerns. Be that as it may, I’m glad to see that a changing of the guard is in the works, and I wish both churches (Coral Ridge and Tchividjian’s New City Pres.) the reformation and revival for which both are praying and working. May the Lord grant it to the advancement of his Kingdom throughout Florida, and, through their various TV and radio ministries, America and the world. Rod is rad, he's our dad! Thursday, February 4th, on “Lutheran Public Radio,” a show called Issues, Etc. on the topic of repentance. Dr. Rosenbladt’s WHI co-hosts, Mike Horton and Kim Riddlebarger, began calling him “Dad Rod,” chiefly, I think, because it was his sense of urgency that American Evangelicalism needs to be reintroduced to the gospel, that drives the vision of their show. 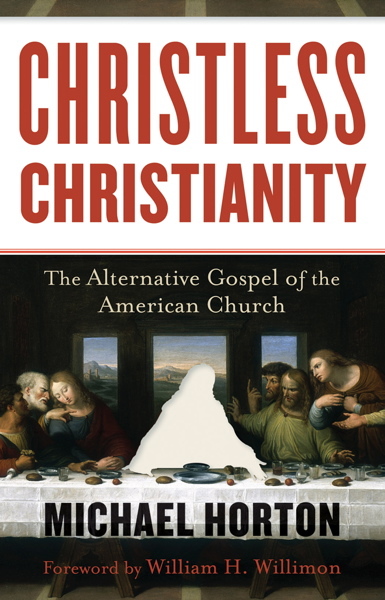 Among other things, revivalism has transformed American Protestant Christianity into something more akin to the medieval Roman Catholic spirituality and Anabaptistic enthusiasm (don’t ignore this link!) than anything produced by the Protestant Reformation of the Magisterial Reformers, Martin Luther, John Calvin and Ulrich Zwingli. One of the things that revivalism has “De-formed” in America is the doctrine of repentance. The revivalist version of the doctrine of repentance is one which puts all the emphasis on the work of the believer to be sorry or contrite enough, really mean it when he repents, and shows that he’s really repented because he has actually ceased and desisted of any recurrence of the particular sinful behavior repented of. “Dad Rod” clearly and simply summarized the Reformation view of repentance from the believer’s perspective when he said . . . If you didn’t just breathe a sigh of relief, watch out! You may just be one of those dishonest people who thinks they’ve got this obedience to the Law thing down. By the way, you can learn more pearls of wisdom from our Lutheran Dad Rod at his very own website, New Reformation Press. I know many theological and political conservative Christian Republicans (as well as those to their right) are grieving the loss to their dream of rebuilding this “Christian nation.” They’re keeping a stiff upper lip as they say good-bye to the out-going evangelical President George Walker Bush, and endure, not without some respect for the historical nature of the event, the election, and now, inauguration of the first African-American President, Barak Hussein Obama. Hard times are coming to the evangelical dream of “taking America back” for Christ, but things are going well for the pluralistic civil religion. During the next four to eight years, it may serve you well to think through a little more carefully just what is the Christian’s relationship to his government. What vision ought he to have for his nation? Should it be forced into the mold of Old Testament Israel, should a Christian theocracy be established, or are we to forswear all participation in the public square, and stop polishing the brass on the sinking ship of America? I submit that a firmer grasp on the classical Christian distinction between what Augustine called the City of God and the City of Man is in order. How is the Christian to live as citizens of the City of God without molding it into the image of the City of Man, and vice versa? This week’s episode of the White Horse Inn, “The City of God,” will tell you. You can read Michael Horton’s intro to the program here. Also, I found particularly helpful and interesting the programs on “Christianity and Politics,” part one and part two, in which, back in September, Dr. Horton interviewed D.G. Hart (author of A Secular Faith: Why Christianity Favors the Separation of Church & State), Dan Bryant (former Republican Assistant Attorney General for the Department of Justice) and Neil McBride (a strategist for the Democratic Party). Their introductions can likewise be read here. I think learning a little more about what the Bible really expects of Christian citizens will help us all cope while the party who beat us in the last election has their turn at the helm of the ship of state. We, and our country, might just be the better for it. Dr. Poythress advises that the question of the millennium is complex, because it does not simply deal with the interpretation of Revelation 20 alone, but involves “a large swath of Old Testament” prophetic Scriptures. Living the Cross-Centered Life, to a co-worker who is a young believer trying to grow out of a severly sinful lifestyle. Bemoaning his lack of reading comprehension at times, he asked me what Mahaney meant when he wrote somewhere in the book (I haven’t seen the quote) something to the effect of, “even though I’m living in the flesh, I choose to live by faith.” Unclear as he was to the meaning of this statement, I told him I could only guess that the author meant that he was not going to rely on his own moral fortitude to be godly, but he was going to rely on God’s grace to empower him to obey his commands. He asked me to write something down about that, and the following is what came out of that effort. Hope you find it edifying, if not instructive in any way. The basis for your acceptance by God is the active and passive obedience of Christ. His active obedience is his 33 years of sinless obedience by which he earned eternal life for you; his passive obedience is his suffering and death on the cross, facing for you the consequences of your sin. Therefore, the basis for your acceptance by God is not your behavior. If the basis of your acceptance by God was your behavior, then you would be trying to earn some reward from God and you would be trying to avoid some punishment from God. The right motive for your behavior as a Christian is gratitude for Christ’s work for you. Fear of punishment and hope of reward is the wrong motive for your behavior as a Christian; gratitude for Christ’s work is the right motive for your behavior as a Christian. Gratitude is what you feel when you are given a gift. When you earn what you have, you’re only thankful to yourself, and that’s not what glorifies God. Both the basis of your acceptance by God, the gospel of Christ’s death and resurrection, and your response characterized by grateful behavior are given to you freely by God’s grace, not procured by your own strength. Grace is not a force like electricity which makes our appliances work, it’s God’s good attitude toward you based on his satisfaction with the obedience and death of his Son, the Lord Jesus Christ. When you successfully resist temptation, and successfully obey his commands, he has granted this success to you as a gift of his gracious disposition toward you because of Christ. Does “Every Member Ministry” Contribute to “Christless Christianity”? An “every member ministry.” The name should be self-explanatory. This is a staple of modern American Evangelical and Fundamentalist discipleship, and likely of the Reformed, as well. We probably all can hear the echoes of pastors past and present who’ve clearly proclaimed that they are not the only “ministers” in the local church. Every member, not just the pastor, is here to exercise his gifts for the building up of the body of Christ. Might this be a “fifth rail” of American Christianity that the believer in his right mind dare not touch, lest he be accused of attempting to take us back to Roman Catholicism with its clearly defined gap between the clergy and the laity? Don’t worry, my personal intention is not to state anything to the contrary of those who believe they are gifted to perform any of a myriad of tasks in the local church. Some of us are gifted to teach, though we’re not ordained pastor/teachers; some are gifted to serve the physical needs of the least of the congregation; some are gifted to aid in the musical operation of the local church; some are gifted to do any myriad of other things that are indded vital activities that ought to take place in the context of the local church, and by the members of the congregation, not just the ordained pastors, elders and deacons. I’m not out to overturn the apple cart of an “every member ministry” as it happens to currently be manifest in American churches. But I would like to address, or rather, cite Michael Horton’s remarks regarding, one passage of Scripture that is famously associated with the idea of an every member ministry, and in fact, serves as part of the Scriptural basis for such activity. But first, let’s look at the passage: Ephesians 4:1-16, as it is translated in the King James Version. And let us pay special attention to where the punctuation falls in verse twelve, which I’ve highlighted. 1I therefore, the prisoner of the Lord, beseech you that ye walk worthy of the vocation wherewith ye are called, 2With all lowliness and meekness, with longsuffering, forbearing one another in love; 3Endeavouring to keep the unity of the Spirit in the bond of peace. 4There is one body, and one Spirit, even as ye are called in one hope of your calling; 5One Lord, one faith, one baptism, 6One God and Father of all, who is above all, and through all, and in you all. 7But unto every one of us is given grace according to the measure of the gift of Christ. 11And he gave some, apostles; and some, prophets; and some, evangelists; and some, pastors and teachers; 12For the perfecting of the saints, for the work of the ministry, for the edifying of the body of Christ: 13Till we all come in the unity of the faith, and of the knowledge of the Son of God, unto a perfect man, unto the measure of the stature of the fulness of Christ: 14That we henceforth be no more children, tossed to and fro, and carried about with every wind of doctrine, by the sleight of men, and cunning craftiness, whereby they lie in wait to deceive; 15But speaking the truth in love, may grow up into him in all things, which is the head, even Christ: 16From whom the whole body fitly joined together and compacted by that which every joint supplieth, according to the effectual working in the measure of every part, maketh increase of the body unto the edifying of itself in love. And now, as we are reminded in Ephesians 4:8-16, the ascended King moves his gifts of this subversive revolution down to us; we do not have to climb up to him. Here the apostle Paul teaches that the same one who descended to the uttermost depths for us and ascended “far above all the heavens, that he might fill all things” (v. 10), does not keep the treasures of his conquest to himself but liberally distributes them to his liberated captives below. The original Greek emphasizes, “The gifts that he himself gave . . . .” They originate with Christ, not with individual members or the body as a whole. The gifts he gives are apostles, prophets, evangelists, pastors, and teachers (v. 11). They are not given as a hierarchy of control, like “the rulers of the Gentiles” who “lord it over” their subjects instead of serving (Matt. 20:25; see vv. 25-28). Rather, Paul says they are given . . . (here he cites Ephesians 4:12-15, which we’ve just read above). More recent translations typically render the clasuse in verse 12, “to equip the saints for the work of ministry” (e.g., ESV, NRSV, RSV), which has been used as the chief proof-text for every member ministry. For various reasons, I am persuaded that the older translations (especially of verse 12) are more accurate and also capture better the logic of the argument. I always wondered if there was something up with this difference in punctuation between the KJV and many, if not all, modern translations (I haven’t checked). I know just bringing up the matter will draw criticism as if I’m out to tell everyone in the church to stop doing stuff for Christ, and just sit and listen to the preacher. This is the great fear of those who zealously proclaim this passage as it is translated and punctuated in modern translations (even if they’re KJV onlyists!) Rather, the point I want to make is the same simple point I always make. For ministry to be Christ-centered, the cart must not go before the horse. The Law and Gospel preached and the sacraments properly administered is the horse, and this and only this, is what makes the cart of our fruitful service go. The Law and Gospel preached and the sacraments properly administered turns some goats into sheep, and then the same Law and Gospel preached also feeds the sheep and strengthens them to love one another, not only as a congregation, but also as sojourners and strangers among our unbelieving neighbors in the world. Profound in its simplicity; simple in its profundity! The cart may be getting put before the horse sometimes when our focus on the “priesthood of the believer” somehow turns into the “ministryhood” of the believer, as Horton frequently says. Hear me clearly, brethren: don’t give up your Sunday School class, don’t drop out of the choir or praise band (or whatever your church calls it), don’t stop helping in all the little, unnoticed ways you do. Just don’t make your primary focus–don’t make these activities your main purpose for being there. If you do, you may be living a Christless Christianity, intending to earn God’s grace by your good works. Rather, first look to being served by Christ through the ordained ministry of Word (Law & Gospel! Not just Law and not just Gospel!) and sacrament as your source of grace and faith and strength . . .
13 until we all attain to the unity of the faith and of the knowledge of the Son of God, to mature manhood, to the measure of the stature of the fullness of Christ, 14 so that we may no longer be children, tossed to and fro by the waves and carried about by every wind of doctrine, by human cunning, by craftiness in deceitful schemes. 15 Rather, speaking the truth in love, we are to grow up in every way into him who is the head, into Christ, 16 from whom the whole body, joined and held together by every joint with which it is equipped, when each part is working properly, makes the body grow so that it builds itself up in love. (Ephesians 4:13-16, ESV). This week on the White Horse Inn, the topic is the response of American mega-churches to the survey conducted by Willow Creek’s leadership (REVEAL) which concluded that the solution to dissatisfaction among faithful church members is less dependence on the organized church’s ministries, focusing on making individual Christians self-feeders. For the record, here and here were my responses back when the survey originally made the headlines. Listen to The White Horse Inn: learn what you believe and why you believe it. Back on Reformation Day, aka Halloween, aka October 31st, the Washington Post hosted a Live Web Chat with Michael Horton (White Horse Inn, Modern Reformation) helping to promote the release of his new book, Christless Christianity. The title of this book was also the focus of the programs during the past year on the White Horse Inn radio show. Horton attained a bit of media attention because of his recent statements critical of Joel Osteen’s theology, who serves as a good poster boy for what Horton calls “Christless Christianity,” but his book and the topic is far more extensive than a mere attempt to pull Osteen off of his pedastal. According to Horton, we all have the natural bent toward some form of Christless Christianity. We all tend to some degree to focus on ourselves and what we do at the expense of God and what he does for us in Christ. But to paraphrase the emphasis of Horton both on the radio and in his book(s), the grace and faith and love to serve Christ comes from the same source as the grace and faith and love that moved us to receive Christ in the first place: the good news of the sinless life, sacrifical death, glorious resurrection of the Lord Jesus Christ. Our problem is, we keep falling back on focusing on the Law of God or the various commands of Scripture, to such a degree that we forget it’s primary use is to expose our sin while its secondary use is to only guide believing obedience. It doesn’t impart the grace and faith and love to obey, it merely charts out for the believer what obedience ought to look like. The grace and faith and love to obey, again, comes from the gospel. So any exposition of Scripture that never gets around to the Person and Work of Christ, won’t convey to us the power to live the Christian life by the Spirit.